We all launched our first blogs one day many years ago. Many of us have launched a few more since then. And some of is probably plan to launch more in the future! Ricky Figueroa is the mastermind behind Blog Launch Insider, a blog that helps businesses get more traffic and customers. There, he blogs about strategic positioning, traffic, conversions and marketing funnels that he uses for his sites and his clients. 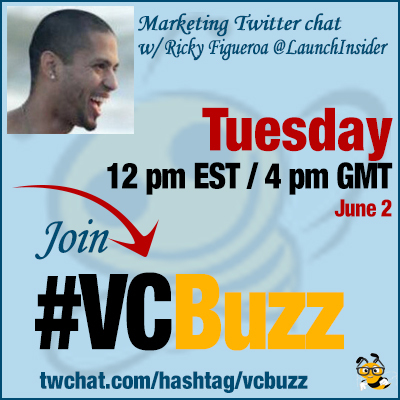 Since January of 2013, Ricky has built growing online businesses while traveling in countries like Germany, Italy, Spain, and Puerto Rico. He currently lives in Denver, Colorado. Q1 When did you launch your first website? What was it about? Are you proud of it today? I made tons of mistakes, learned many things while taking action and still managed to generate over $36,000 in its first 90 days. It changed my life forever. The key behind $36,000 in my first 90 days at that point was… a sales funnel that included an upselling process. I also used one-on-one video networking to serve my prospects for free and it turned out in higher commissions. Q2 When can you say a blog is a success? How do you define success when it comes to blogging? To be honest, in my case, it all depends on my main goals with the blog, which is usually the main reasons for starting it in the first place. Let me explain: The metrics to define Success with a blog can mean different things to different people based on their on goals. Using my newest blog as an example, it is successful when it reaches consistent profitability month after month, builds authority, credibility, trust and positive expectancy at least 95% of the time on autopilot. Also, when a blog becomes an asset it is a success for me. An asset by definition puts positive cash flow in your pockets every single month. If your blog has higher expenses than revenue, than it is a liability. It must focus it’s content on serving, making a real difference and challenging the current norm in the industry to inspire others to make it a better place to build wealth. Q3 What’s the best ONE tactic to make a blog successful? How fast do you think a blog can become popular and what does one need to do for that? It depends on what the blog is going to be leveraged for, but to answer the question in a way that can apply to everyone in every niche: There is NO one particular tactic for blogging success. For example: A specific tactic can work very well for one person and it may not work at all for another. However, I believe a clear growth and monetization strategy are the foundation for any blog’s success. Knowing WHY your blog exist and WHY you as a blogger, entrepreneur or marketer exist in any given marketplace is important. Also, executing on gathering data (or information) from your target audience regarding what their main struggles are and what they want and taking all of that and turning it into products, services, or programs that will serve as the solutions to their problems is something you SHOULD NOT skip. Unfortunately, that’s a big problem I see in this industry. Many people want to skip the “process” and go straight to the “wealth” event: getting paid. But the fact of the matter is… the right kind of process is what creates that wealth event. I have seen so many people creating content, products and services based of what “they think” their target audience wants…BIG MISTAKE! Regarding the other question: How fast a blog can become popular… I will be brutally honest here: I honestly don’t care about it, therefore, I don’t focus on making a blog popular. However, I do focus on making a blog profitable… which is not the same. “How to build a popular blog” is a buzz keyword phrase that many bloggers like to over-use, because it is attractive to many and can help them get good traffic. Here’s another truth: All the traffic in the world is worthless if you have not optimized your blog for high conversions. 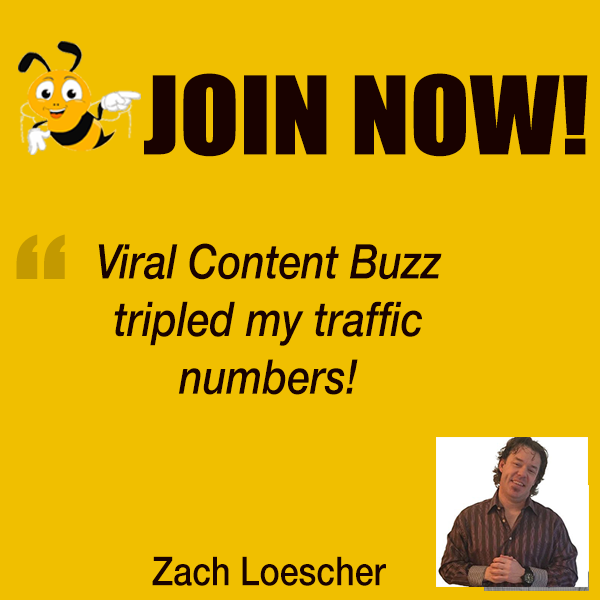 Do you want to build a blog that’s extremely profitable or do you want to be famous? Of course, you can do both and sometimes, one is the by-product of the other, but it is not always the case. The big problem with focusing on building a “popular” blog is that often times you will end up enjoying some temporary fame, but when you take a closer “behind-the-scenes” look at it… many bloggers are struggling a lot, because they are barely generating a few dollars from their blogging efforts. Bloggers often forget that to generate great income from your blog you must master the skill of “selling without selling.” In other words, “strategic positioning”. In fact, many “popular” bloggers preach that it takes at least a year to start seeing some income from your blog. Honestly, that is total crap. Yes, it can take a year or more IF your strategy supports that kind of mindset. Again, it all depends on which strategy you are implementing. Is it a slow one or a fast one? Is it a dumb one or a smart one? When I look at my analytics I like to have a balance between new visitors and return visitors. Now, if there’s a specific metric to define popularity when it comes to your traffic – I don’t know it. Like I said before. I don’t focus on popularity metrics. I focus on profitability, especially, if I have an “exit” strategy. Meaning… if I plan to sell my blog later on then I focus on the right monetization strategies to increase the valuation of my blog as fast as possible. Q4 You are very open with your income and donation reports. How are these working for you? Why did you decide to make those numbers public? Absolutely. The reports are working very well, based on my audience’s feedback. I decided to share these reports for a few reasons: My intention has always been to share detailed insights regarding where the revenue is coming from, what is it spent on and what I had to do to create the results. It has served as an educational resource that also inspires, motivates, and creates positive expectancy for other bloggers, marketers and entrepreneurs. I love transparency, so I share it with others. In fact, I was inspired by Pat Flynn from SmartPassiveIncome. His work-ethic planted a seed in the way I build my business, so I’m simply paying it forward. Great question! I personally do prefer to do it from the start, because it shows the REAL journey. Not just the success. I believe in the beginning if things start slow it might not be as inspiring, but it is REAL. I pay my taxes hehe 🙂 But to answer your question. It is very important to have one account that reflects ALL transactions regarding your blog/business expenses, revenues, etc. Yes, it can be discouraging when a big part of your money is gone. I personally create an LLC or Inc for each blog I create… for tax purposes. Q5 You’ve been building your business while traveling? How do you effectively combine traveling and working? Well, I barely work when I’m traveling. I don’t try to combine both. I’m terrible at trying to do two things at the same time! The key for me is this: My monetization strategy. I love to focus on subscription models or in other words, I like to focus mostly on recurring monthly revenue or high ticket clients. That way I don’t have to worry about working too much when I’m traveling for fun. Now, that doesn’t mean I don’t work at all. In fact, I work extremely hard, especially, when I’m starting a new project. But the kind of projects I focus on are the ones that require a “grind” phase in the beginning, and once it is all set up I let it run and do the work for me. Then, I take a fun vacation or I move on to the next project. If I’m taking a mini-vacation which I love to do very often… then I don’t touch my business at all on those days.